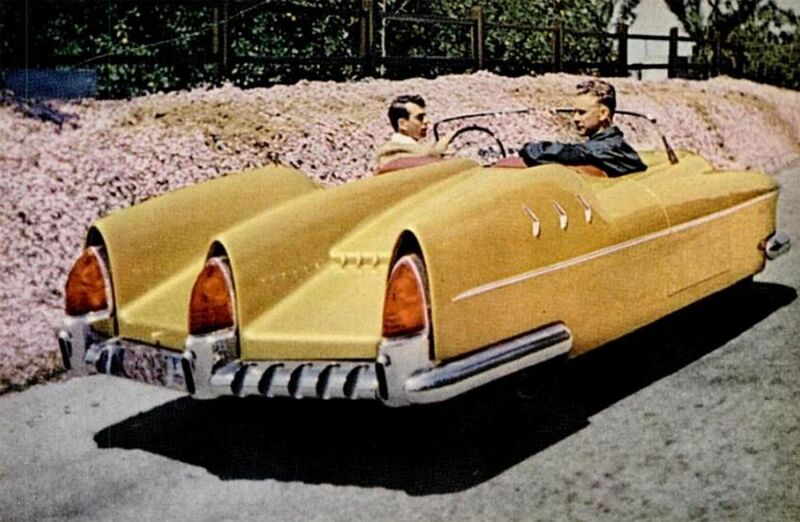 Car culture sure ain’t what it used to be. Back in its glory days, the automobile was a triumphant marriage of form and function, beauty and brawn. 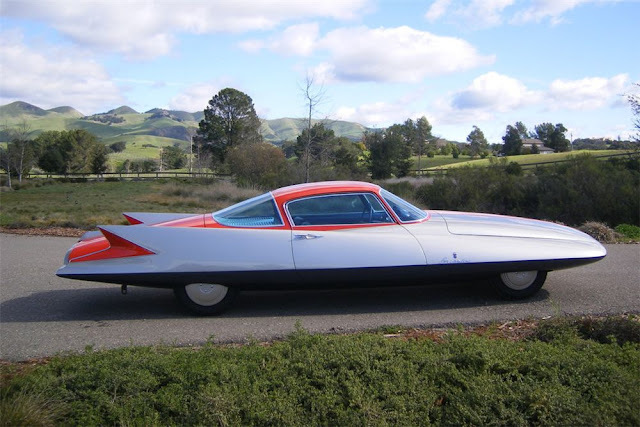 Admittedly, the old gas guzzlers of yore were also environmentally-unfriendly dinosaurs... but there’s no harm in dreaming, right? 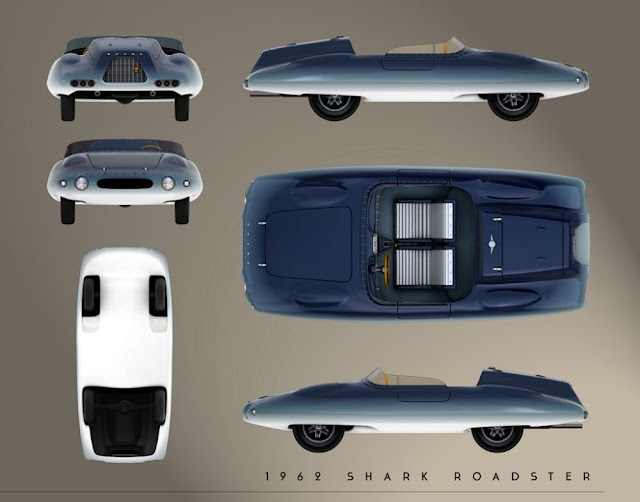 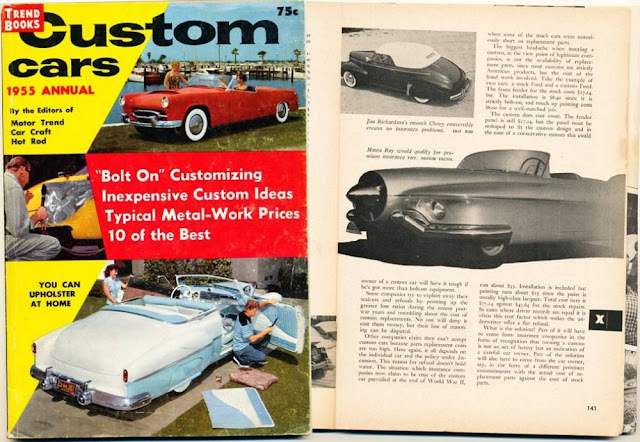 And when it comes to dream machines, the concept cars of the 1950s and 60s are hard to beat. In an era when popular choices like the Ford Thunderbird, the Studebaker Hawk and the Cadillac already embodied the post-war generation’s sense of optimism and space-age possibility, these outrageous vehicles look set to lead a mission to Mars. 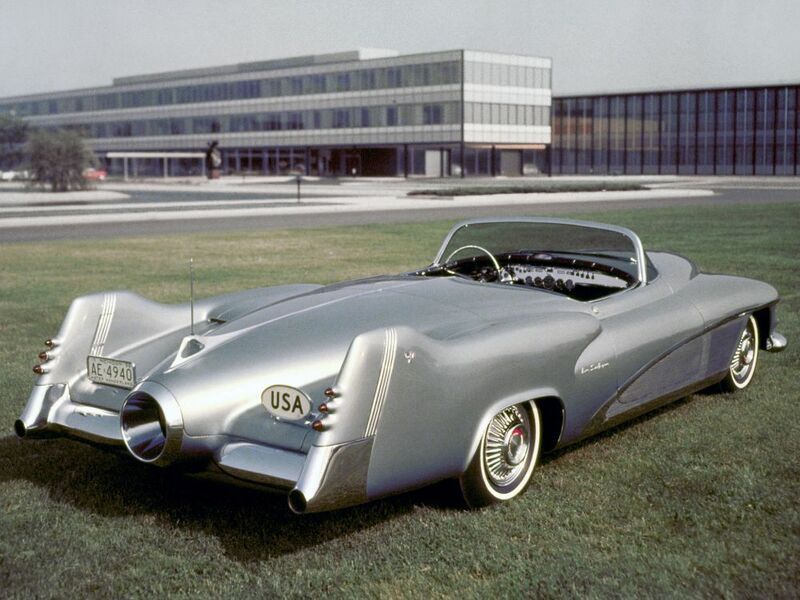 The Grand Poobah of American concept cars, the LeSabre was named after the US Air Force’s F-86 Sabre fighter jet, and possessed bonafide aeronautical features such as a jet-engine-inspired air intake and dash dials for compass, technometer and altimeter. A dramatically styled aluminium body and super-charged engine heightened the effect. 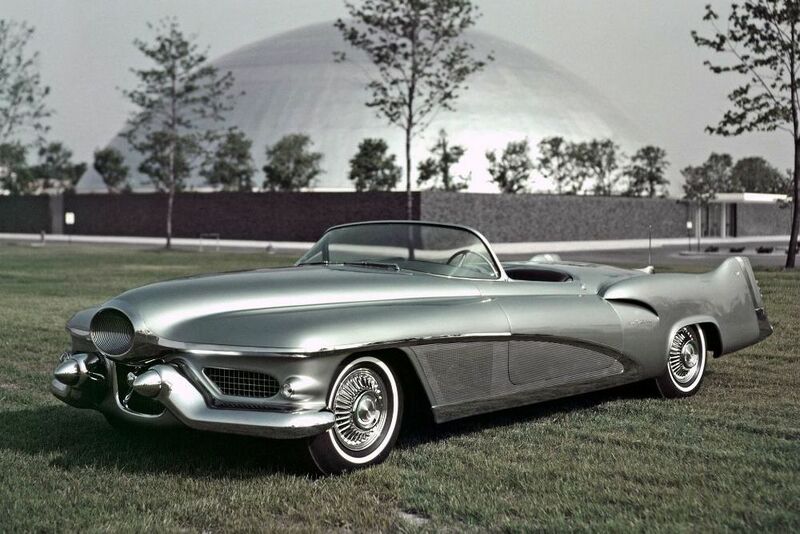 Though it never made production, designer Harley Earl drove his prototype for years, even lending it to General Eisenhower at one point. Only because it predated the establishment of NASA by three years can we assume there were never any intergalactic plans for the jaw-droppingly futuristic Gilda. 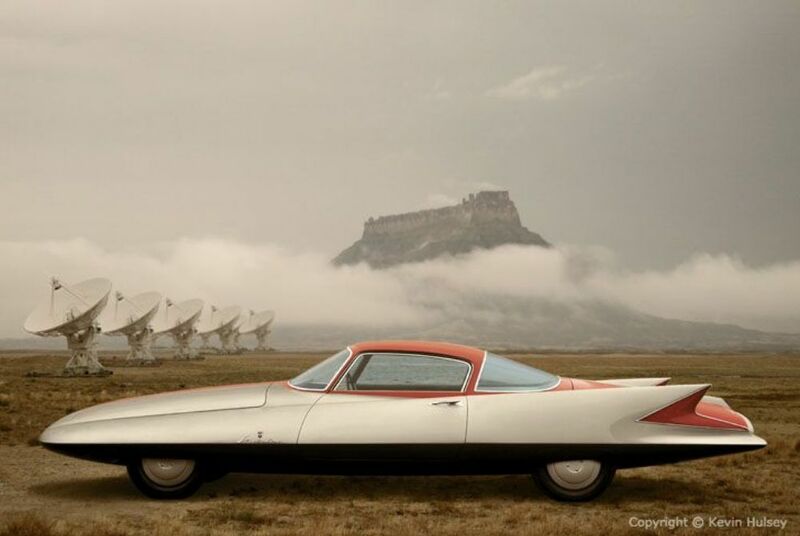 But Chrysler certainly had lofty ambitions for the car, enlisting Italian Carrozzeria Ghia to help realise their dream of combining jet-inspired engineering and design. 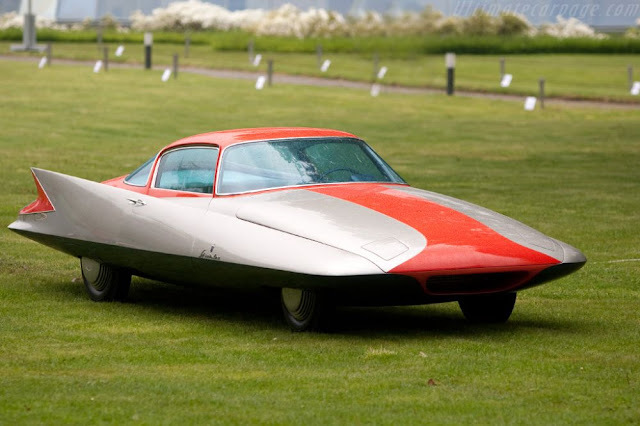 Ironically, when the Gilda was first exhibited in 1955, it was engineless (being too petite to accommodate a turbine engine). 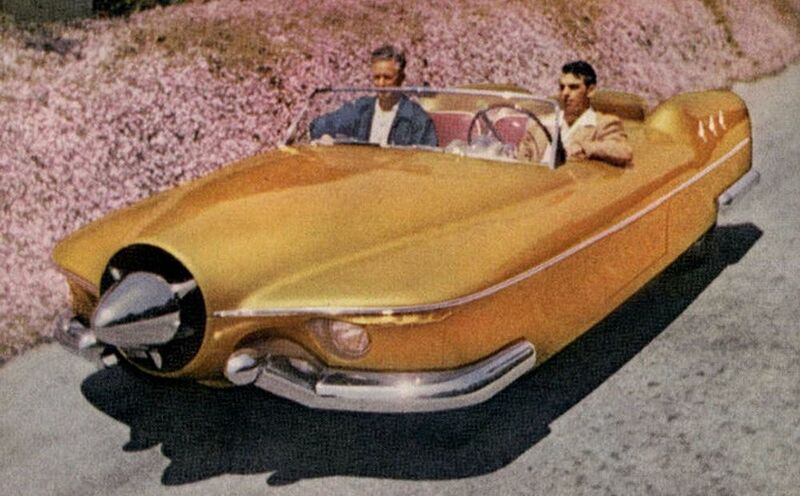 But with looks like that, who cares? 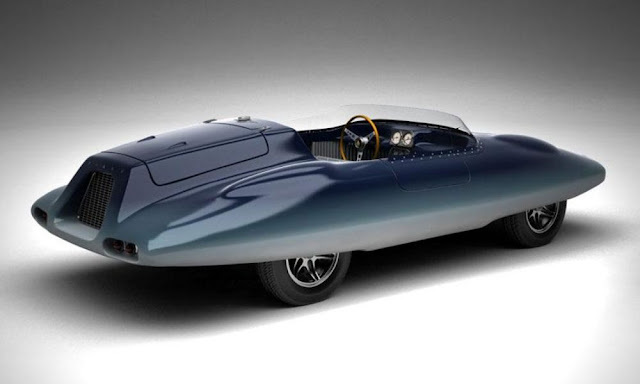 The ultimate passion project, the Di Dia 150 was conceived and hand-built by Detroit menswear designer Andy Di Dia over seven years, costing $93,000 to complete. 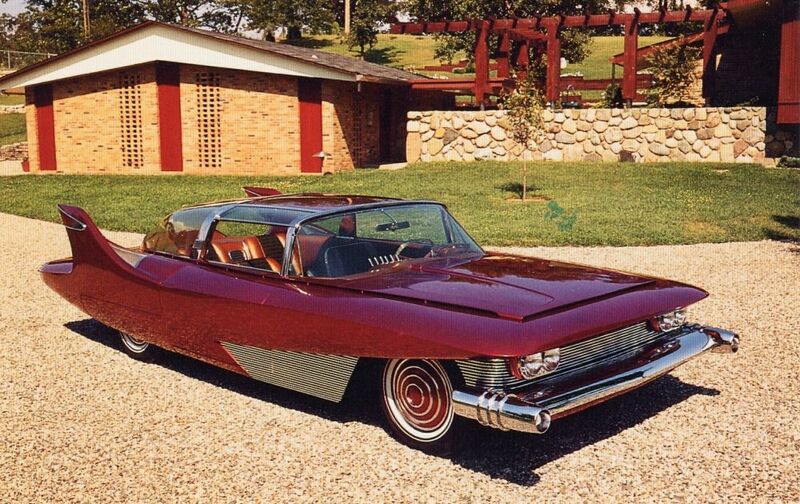 And no wonder: its metallic, 30-coat paint job gets its sparkle from real crushed diamonds. 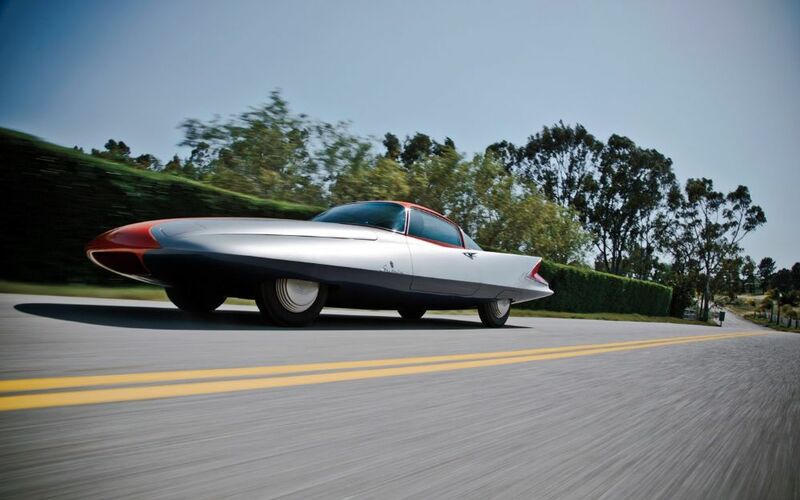 Swivelling taillights and fins that out-do George Barris’s Batmobile feature among its other flamboyant charms. 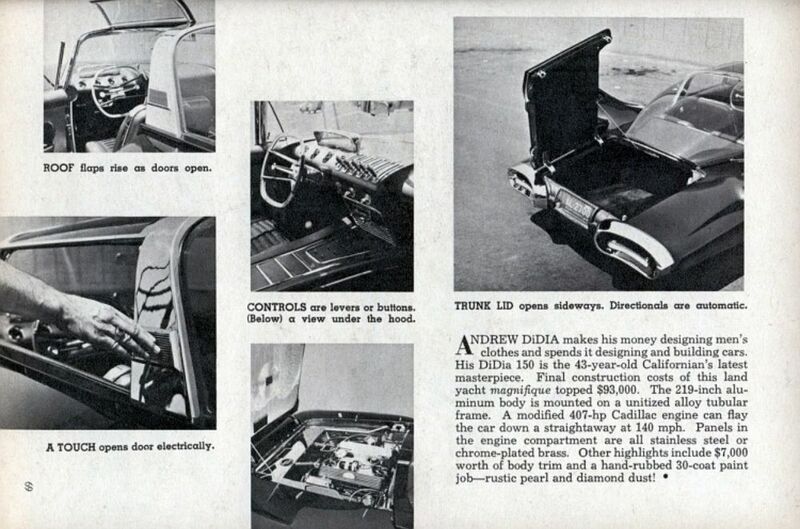 Singer Bobby Darin famously bought the car in 1961. Few cars are more aptly named than El Tiburón. 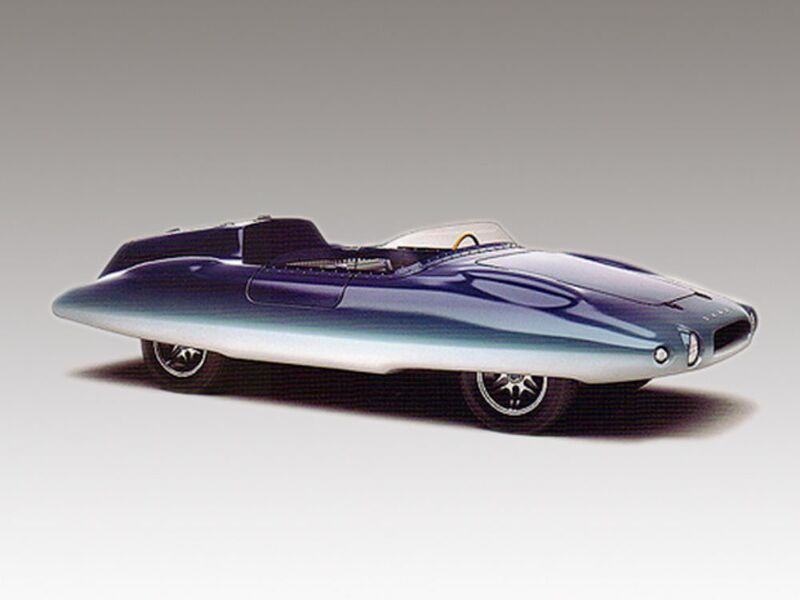 Sleek and streamlined like an apex predator, this fibreglass wonder looks capable of aquatic as well as land travel. It’s not, but it did prove designer Henry Covington’s point that you don’t need a huge engine if the car’s light and aerodynamic enough (– the Shark’s rear Renault engine was just 19 horsepower). 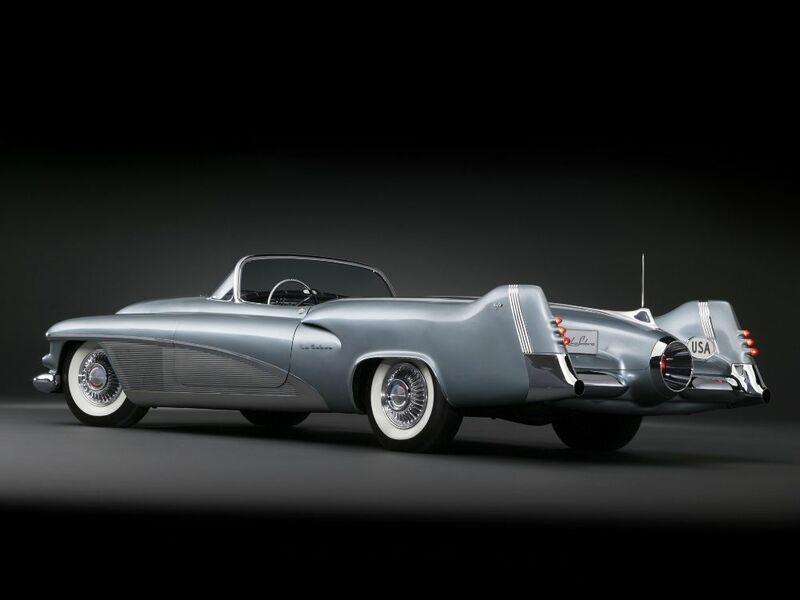 With six roadsters and six coupés built, it was practically mainstream by concept-car standards.